In the op-ed, Cook said he believes "data broker" companies that collect, package, and sell personal information should be required to register with the FTC and provide critical transparency information to the agency, and that consumers should have the power to easily access and delete that data if desired. "Right now, all of these secondary markets for your information exist in a shadow economy that's largely ­unchecked," wrote Cook. In 2014, the FTC published a report stating that "data brokers collect and store a vast amount of data on almost every U.S. household." Of the nine data brokers it examined, the FTC said one had a database with "information on 1.4 billion consumer transactions and over 700 billion aggregated data elements." This problem is solvable—it isn't too big, too challenging or too late. Innovation, breakthrough ideas and great features can go hand in hand with user privacy—and they must. Realizing technology's potential ­depends on it. One of the biggest challenges in protecting privacy is that many of the violations are invisible. For example, you might have bought a product from an online ­retailer—­something most of us have done. But what the retailer doesn't tell you is that it then turned around and sold or transferred information about your purchase to a "data broker"—a company that exists purely to collect your information, package it, and sell it to yet another buyer. The trail disappears before you even know there is a trail. Right now, all of these secondary markets for your information exist in a shadow economy that's largely ­unchecked—out of sight of consumers, regulators, and lawmakers. 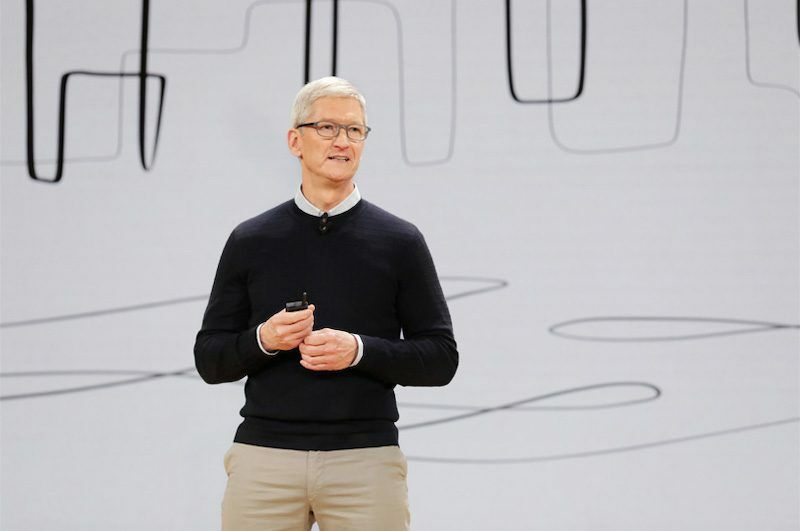 Cook's op-ed is consistent with Apple's belief that privacy is a "fundamental human right." Apple aims to "minimize its collection of personal data," according to its privacy website, and stresses that the "the customer is not our product." Apple emphasized its commitment to privacy with a billboard near CES 2019 that read "what happens on your iPhone, stays on your iPhone." And while you're at it, enforce the right to repair. Sorry dude, turns out people are stupid and need rules in place to protect them from themselves. Even when it seems obvious to superior humans like yourself. Here is a real world example: a wet floor must have a sign next to it to warn others that it's a trip hazard. By your logic, the solution is individual vigilance. Whilst that might protect some people, most people aren't on guard, or have an awareness, all the time, so we as a society put rules in place to help protect others for the benefit of all. Plus if we don't have those rules, some people will find ways to take advantage of the lack of rules, some might create trip hazards for a laugh for example, especially if they could monetise videos of people tripping over. We need to protect people from things like that and more. 1) If you don't want companies like Digital Recognition Network (https://drndata.com) using their vast network of privately owned, automated license plate reader equipped vehicles to create a database of where and when you travel and where you park your car at night, just don't own a car. I have strong libertarian leanings. The Libertarian Party used to say the purpose of government is "to protect citizens from force and fraud". I think much of what Tim Cook is talking about falls into the realm of "fraud" (and the necessary infrastructure to protect us from companies that would steal our privacy without our knowledge). If someone takes my car, I know it. However, someone can take all types of personal information about me and I might not ever know about it. I rarely look to government for solutions to problems but this is a case where I am 100% with Tim Cook that there is a legitimate role for government to play in this issue. With that said, I still have very little hope that Congress will do anything meaningful. As the old saying about Congress goes, "If you think our problems are bad, just wait until you see our solutions." Hell of a business move. Good for consumers and good for Apple. Any CEO in his position would be taking the same stance. So we can’t have services like you mention AND privacy? Doesn’t seem like a better solution to me. To my pleasant surprise, this is the first time that I like anything that Tim Cook has ever done. Unfortunately, the aptitude level of people in Congress is so remarkably low; it's unlikely they will understand it, much less do anything about it. Everyone here, who usually spits on Tim, should keep his/her mouth closed. At least this time. The example given by Tim in his letter is dead wrong. If a retailer transfers your purchase information to a third party and such information does not contain personal information that can be linked to you, it is not personal information at all. The data collected by a retailer about his sales and numbers for example, is also personal information of the retailer. I really dont care if a retailer sells the information that I purchased a specific product as long as this information does not contain my name, credit card number and address. It is raw statistic information which is no way personal in nature. It's is only good for the Apple (and other businesses) if consumers reward them for taking this position by not buying the competitor that doesn't care about privacy. The problem is that most people put little value in their personal information, particularly when they get services for free by giving it up. When people don't care, then it's another excuse for the government to not care. Apple needs to up it's game with regard to educating people about privacy.